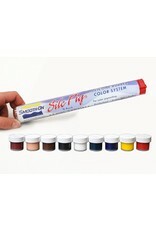 Smooth-On Silc Pig 9 pack gives you the opportunity to experience each color without spending a lot of money. Silc Pig silicone color pigments are used for coloring Smooth-On's silicone rubber compounds including Mold Max translucent ÃƒÂ¯Ã‚Â¿Ã‚Â½ÃƒÂ¯Ã‚Â¿Ã‚Â½ÃƒÂ¯Ã‚Â¿Ã‚Â½T' Series, Dragon Skin and Ecoflex rubbers. Silc Pig pigments also are also used to create mind blowing skin effects with systems such as Psycho Paint and Skin Tite. 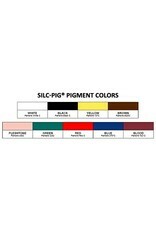 Silc Pig pigments are concentrated, offer excellent dispersion and consistent color. 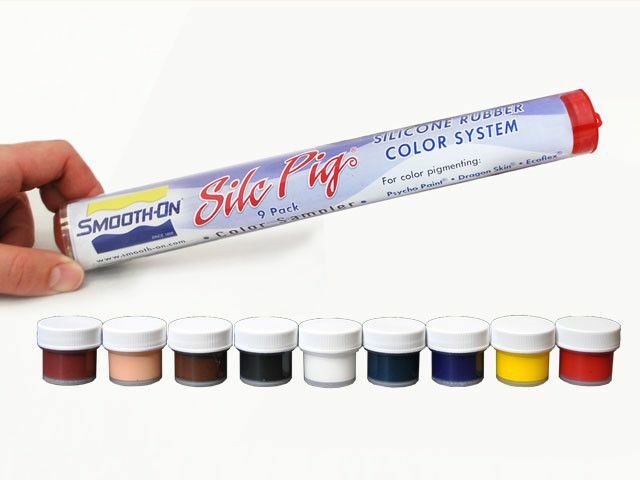 Silc Pig pigments are very concentrated and a very small amount of pigment will color a proportionally large amount of silicone. The more you add in proportion to the volume of liquid rubber, the more dramatic the color effect.